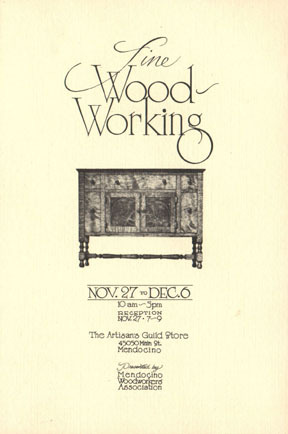 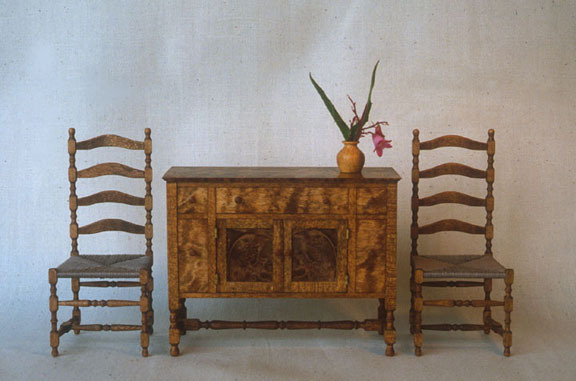 In August of 1981 I built 12 of the sideboards, as part of a set to go with the Maple Gate Legged Table. 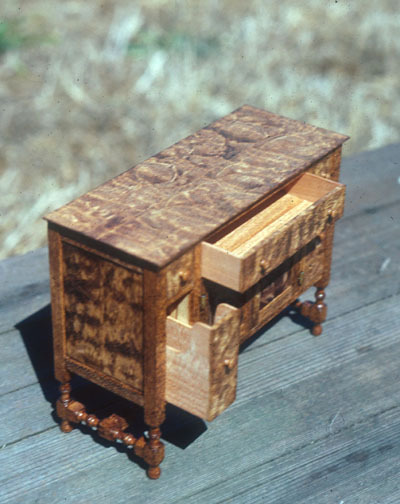 This piece is also built with eastern Rock Maple for the case and back panels. 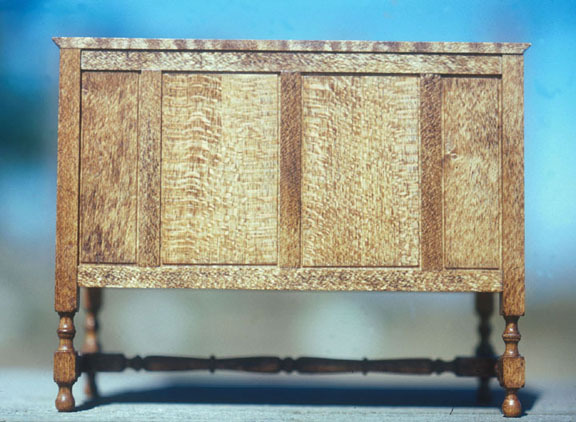 Quilted Broadleaf Maple is used for the top and drawer fronts. 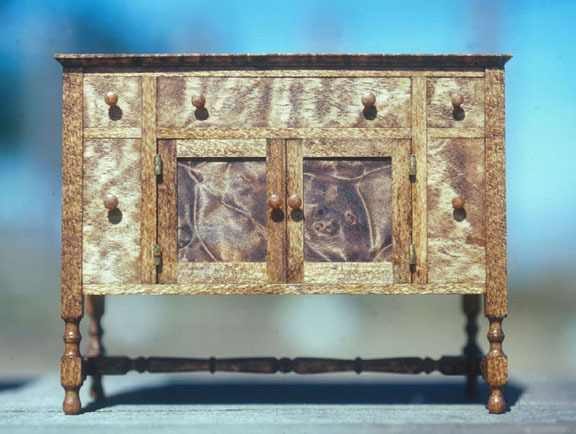 The front door panels are Broadleaf Maple burl.